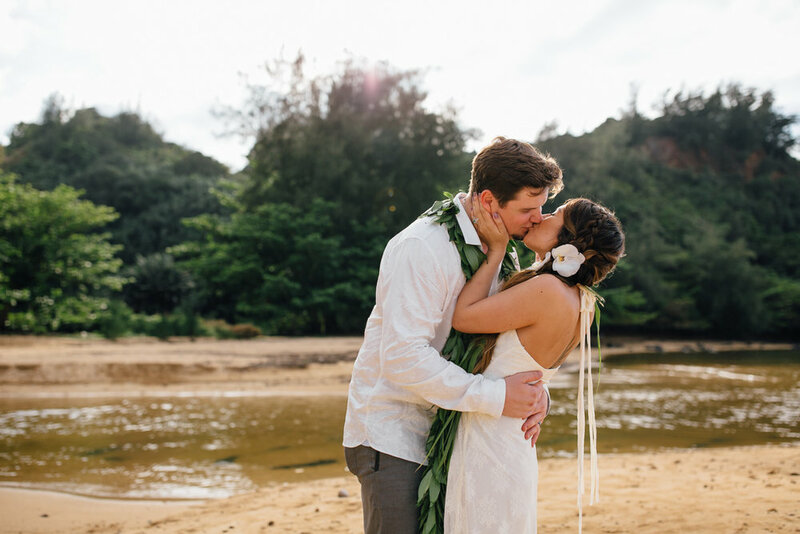 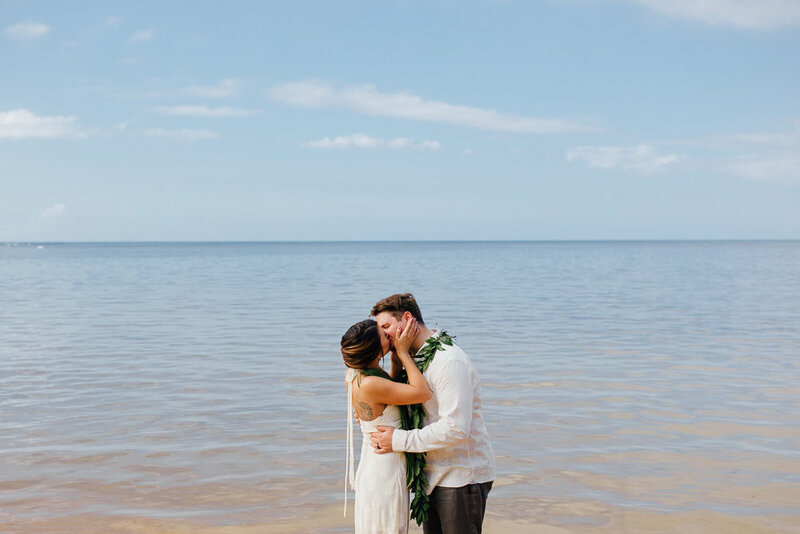 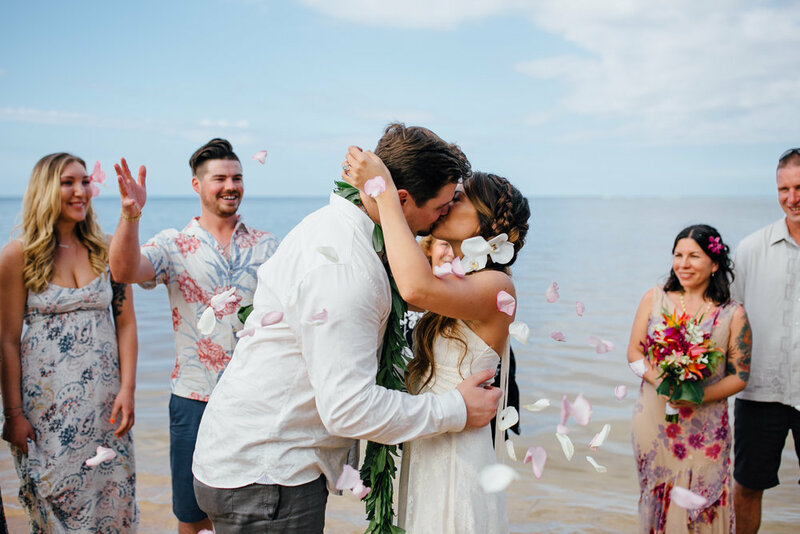 Sara and Rick ultimately fell in love during a trip to Kauai, so when it came time to plan their wedding, their decision where to have it was easy. 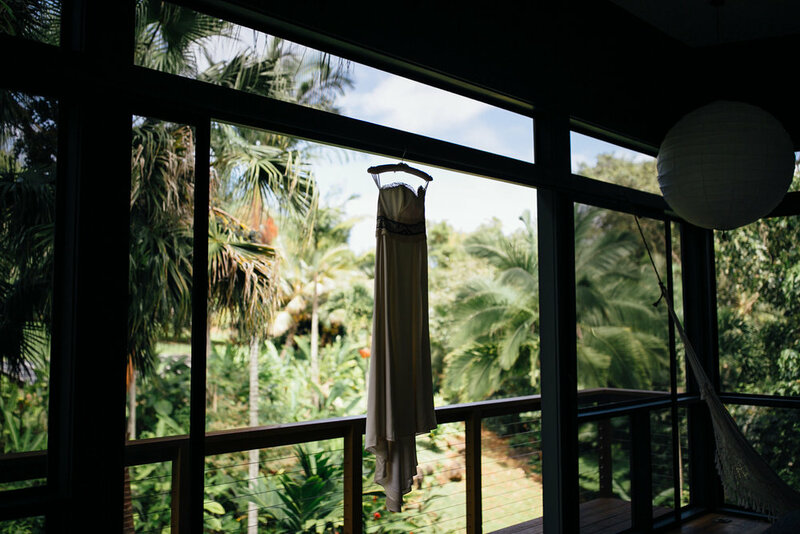 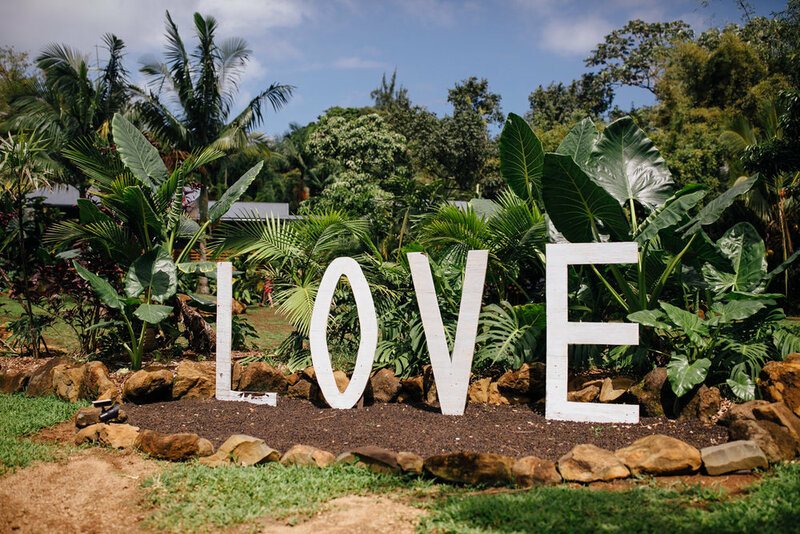 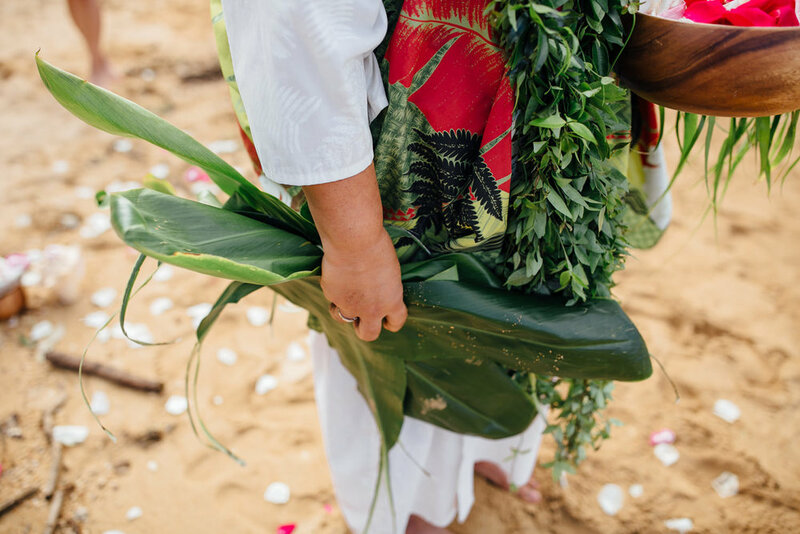 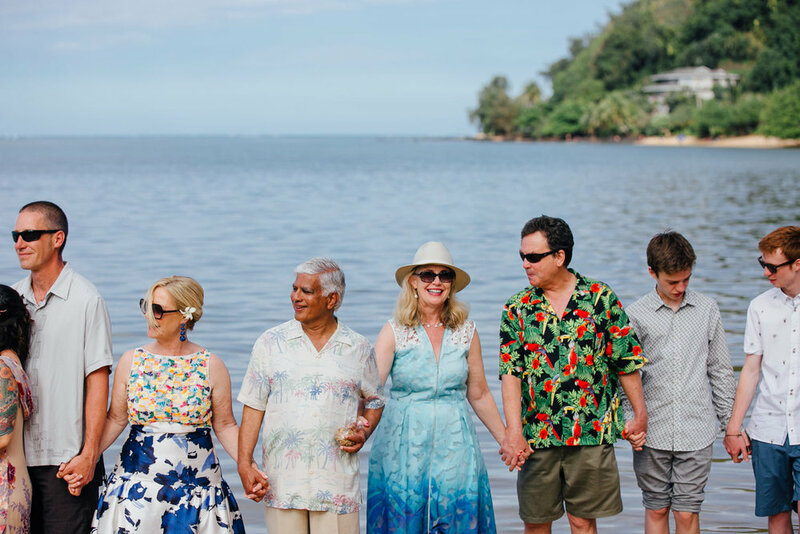 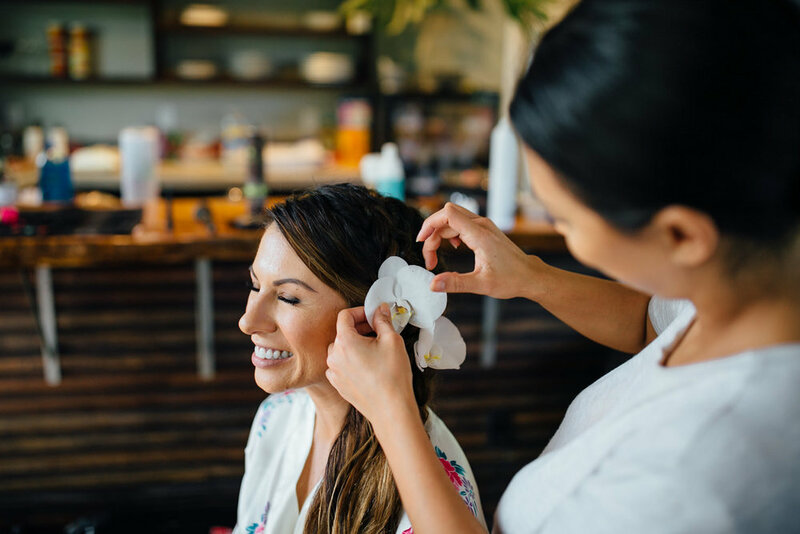 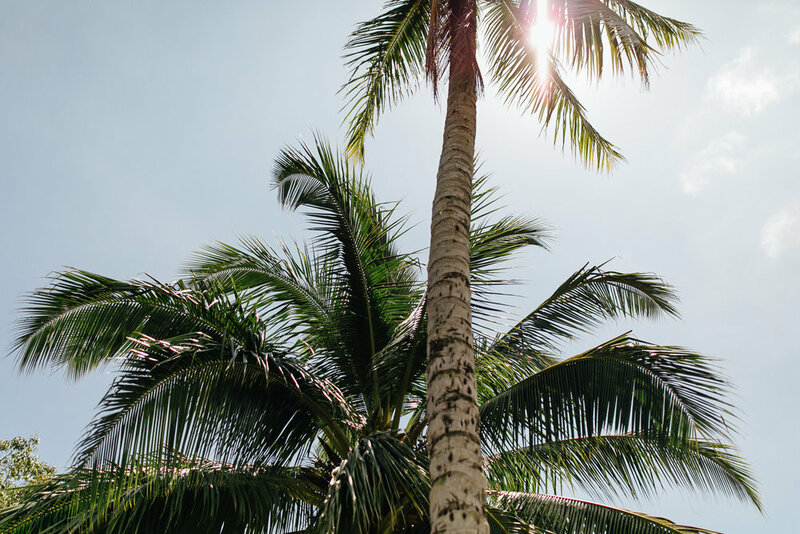 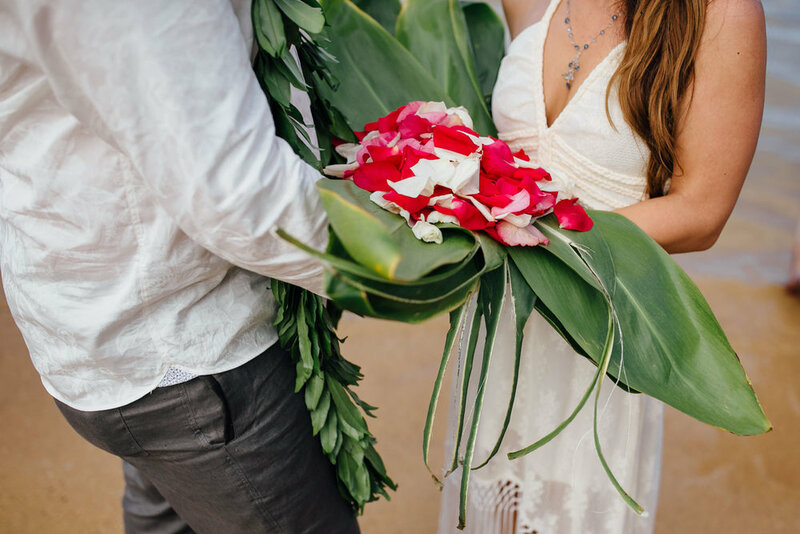 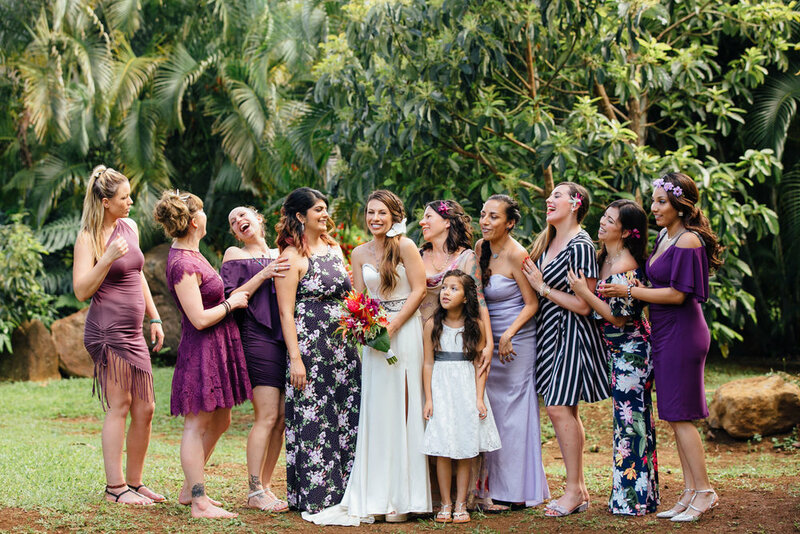 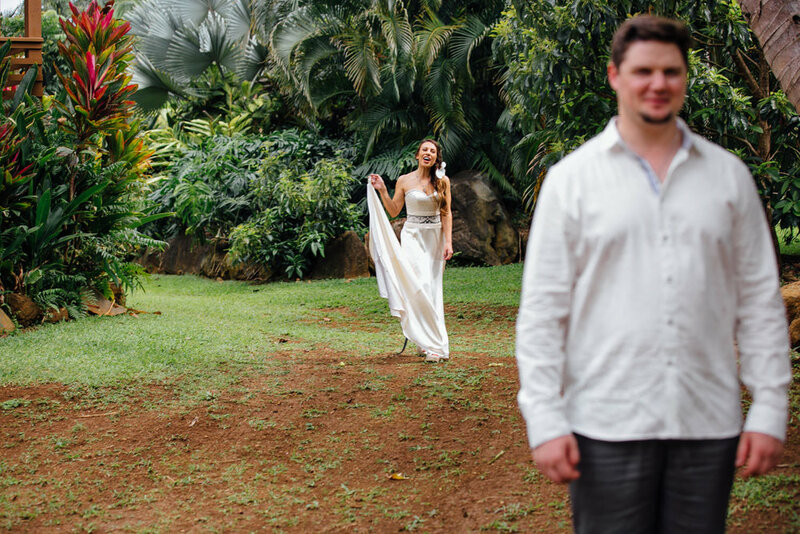 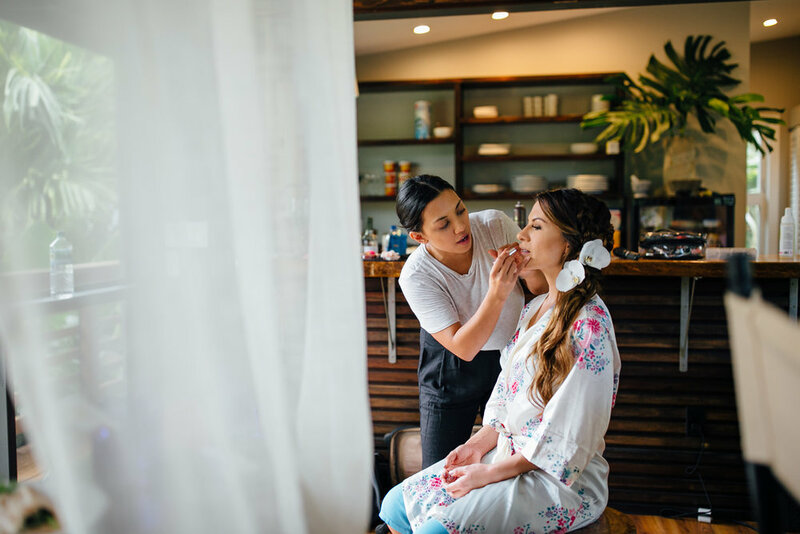 They kept their Kauai wedding small and intimate with an emphasis on local traditions and customs. 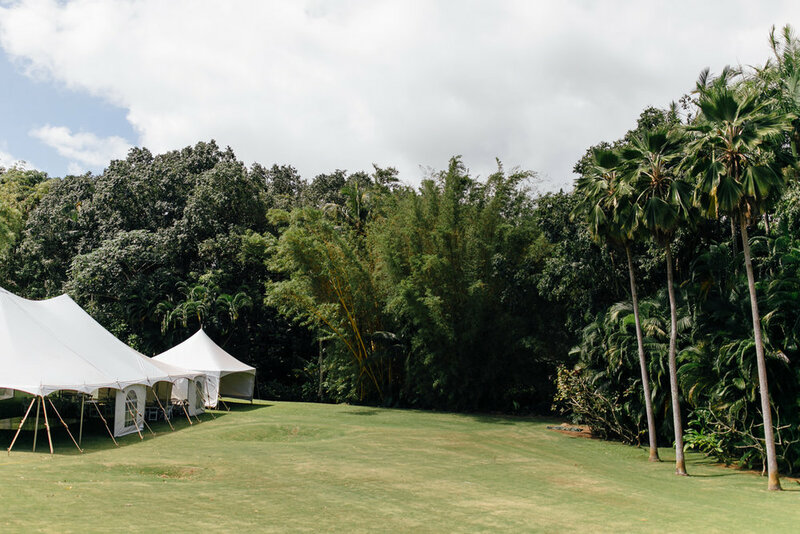 What’s more customary on Kauai than lots of rain and a mudslide? 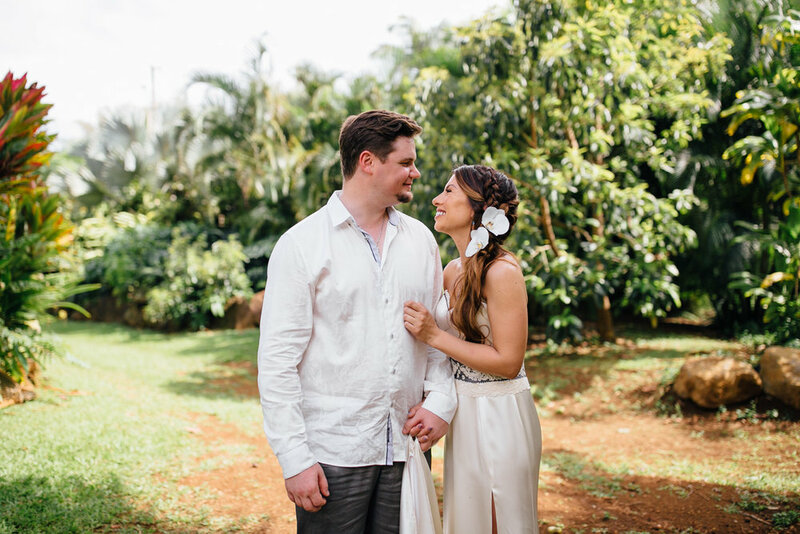 It had been raining pretty steadily in Kauai over the past month, and the day before their nuptials was no exception. 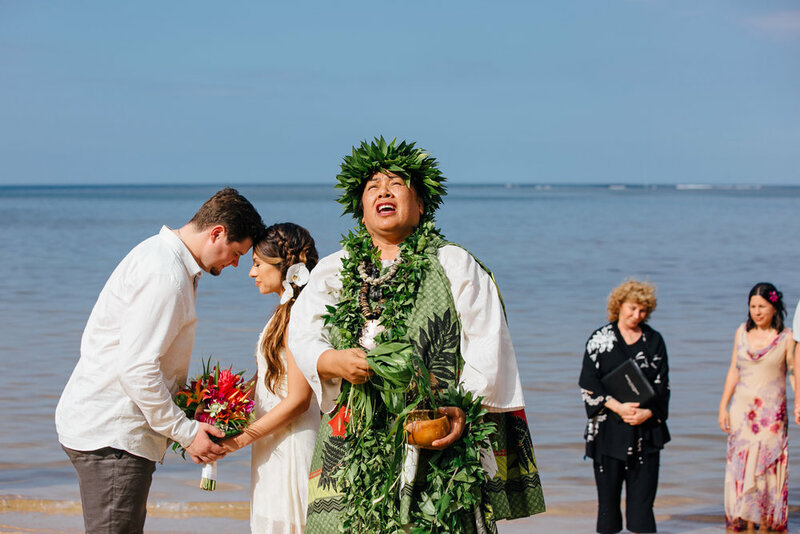 It was absolutely pouring rain with countywide flash flood alerts and there wasn’t a backup plan for the ceremony location; it was slated for the beach. 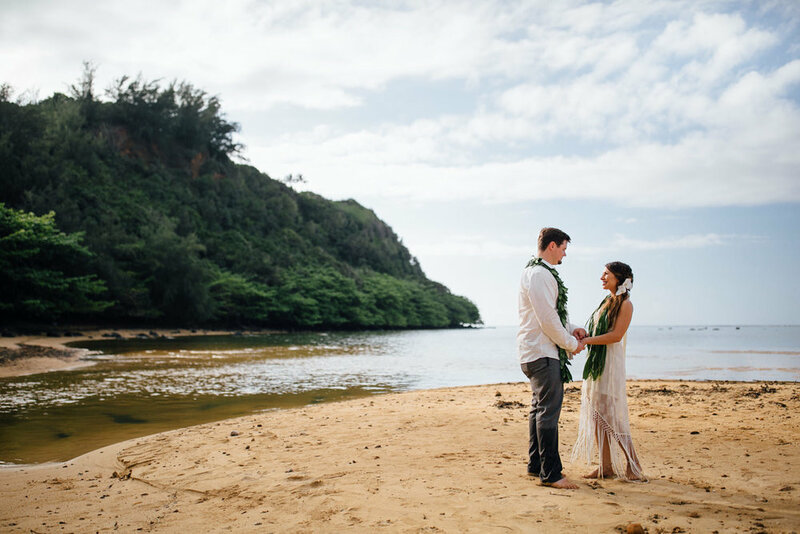 When Sara was asked where she wanted to have the ceremony if it were to rain, she smiled and said, “On the beach in the rain of course!” Thankfully for my camera’s sake, and the sake of all the lovely made up faces, the day of the wedding broke the weather pattern over the past month and was filled with sunshine and clear skies! 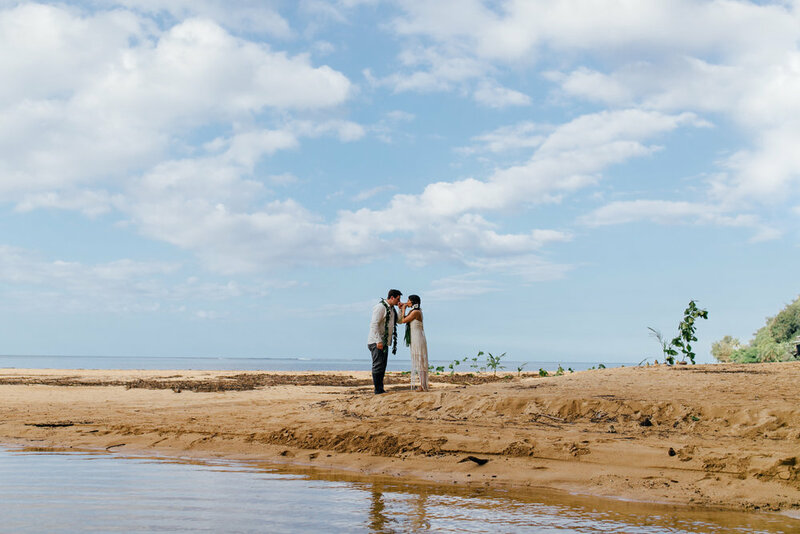 Though Mother Nature gave us a pass in the precipitation department, she had to show off a little by releasing a section of oversaturated land. 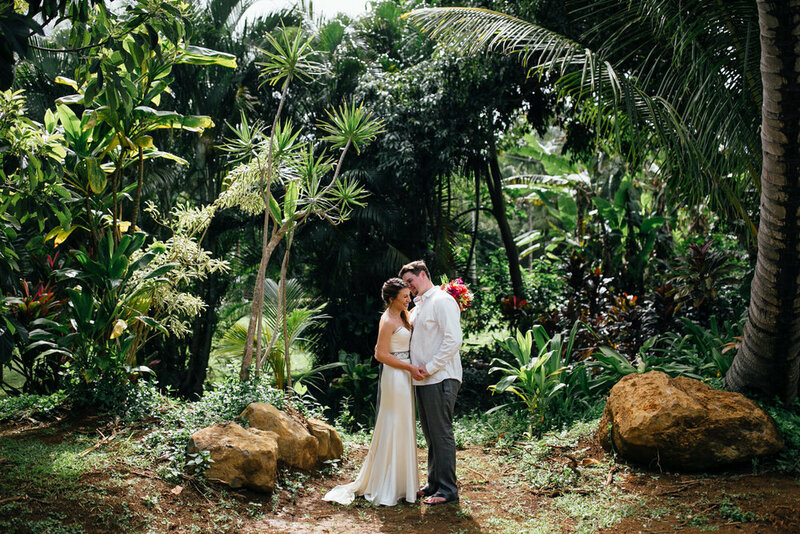 Cue the mudslide that kept us from arriving to the reception on time including the wedding party! 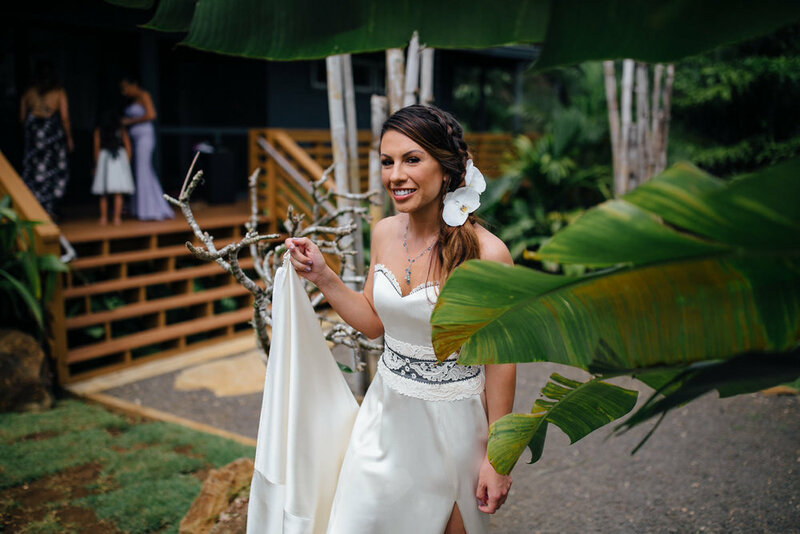 In the blog photos you’ll see a photo of the massive tree trunk that was deposited via mud onto the road to the reception. 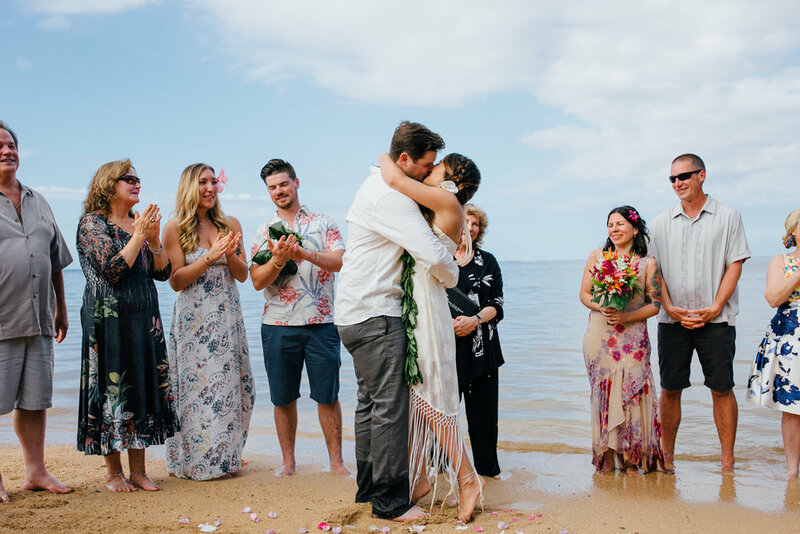 But it only temporarily postponed what turned into an amazing Kauai wedding reception steeped in Hawaiian awesome-ness. 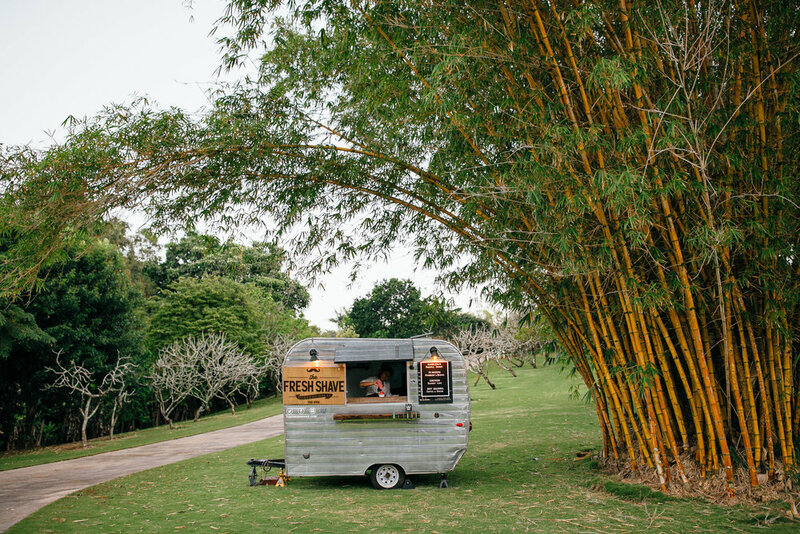 There was a entire spit-roasted pig, fresh poke, live Hawaiian music and to top it all off, gourmet shaved ice from my local peeps at The Fresh Shave Ice!